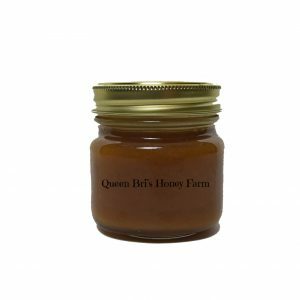 Raw Local Honey - Sweet Clover - 2 Oz. 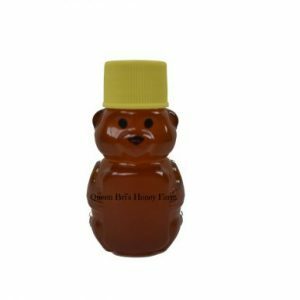 Honey Bear Gift Bottle | Award-Winning Local Honey From OKC! This cute little 2 oz. 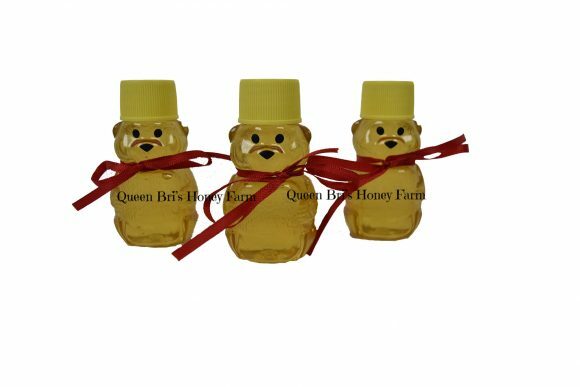 honey bear gift bottle is the perfect size for gifts. 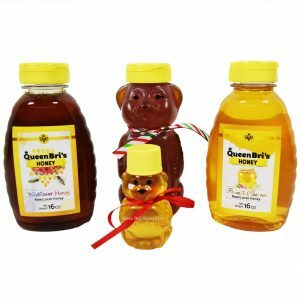 At Christmas time, they are popular as stocking stuffers with our customers, and we tie a little Christmas scarf around their neck to make them look more festive. 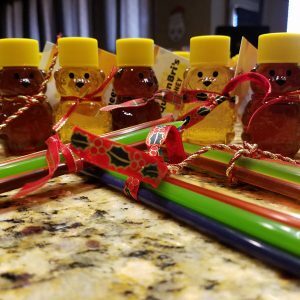 And, we’ve even had a customer purchase them for a Made in Oklahoma party he hosted to give them out in a gift basket for each attendee. Get creative, and you’ll think of all sorts of grab bag or gift ideas for this goodie! It’s also the perfect sampler size as well if you’re not sure that you want to purchase a big ol’ bottle of our 16 oz. 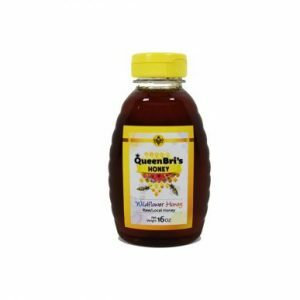 Wildflower Honey! This is a special order product and must be paid for in advance! 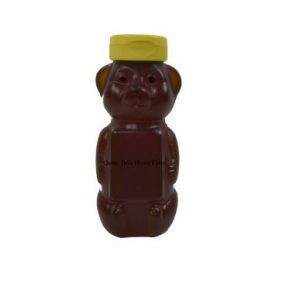 We require an order and payment in advance to process all 2 Oz Honey Bear Gift Bottles. Since these are typically not a high-demand item, if orders are not picked up, we are usually just stuck with them. So, we have had to switch to requiring people to pay in advance in order for us to bottle them up. This cute little 2 oz. 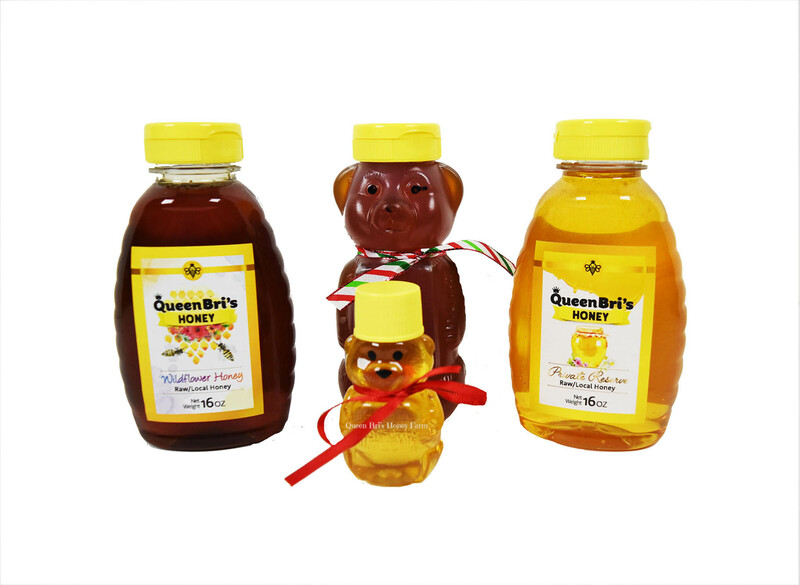 honey bear gift bottle of Sweetclover Honey is the perfect size for gifts. 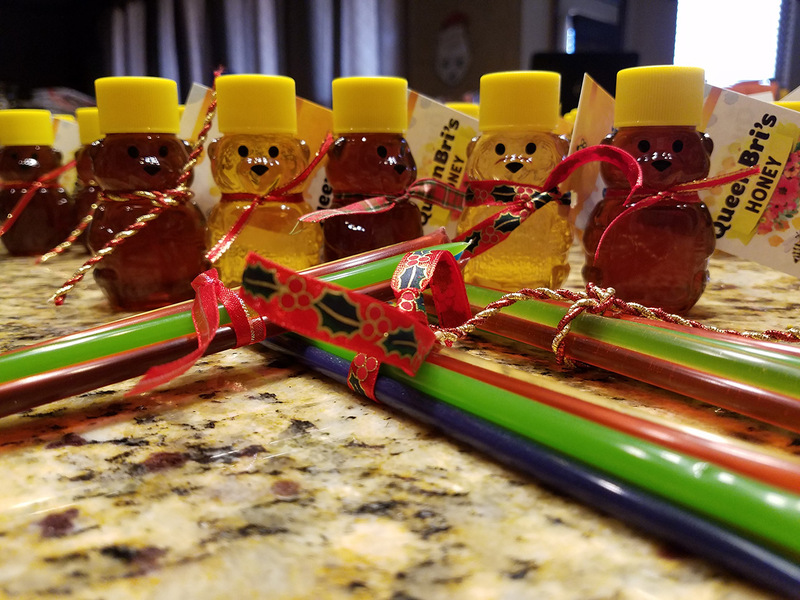 At Christmas time, they are popular as stocking stuffers with our customers, and we tie a little Christmas scarf around their neck to make them look more festive.